Sentinel-2 – M@d Science ! Winter is coming to Jökulsárlón ! LFC seen from space ! In the middle of England a supporter of Liverpool showed his love to the club differently. This by carving their letters in his field located in Titterstone Clee Hill. Several media sources have published an aerial photo of this mystery ( Mirror, Liverpoool echo …) taken by the Remote Sensing Surveyor and Air Camera Operator for the Ordnance Survey. The carved field captured by the Remote Sensing Surveyor and Air Camera Operator for the Ordnance Survey. Since I don’t have the U.K visa which allows to me to access to the territory and view this masterpiece I settled for researching that view from space through the famous satellite Sentinel-2. Luckily I found a dated picture of the 8th November 2017 that is not cloudless. With its spatial resolution (~15 m), we can identify the carved letters ( Sources said that the length of letters are approximately 150 m so they will be presented by a dozen of pixels). The first image represents a global view of Titterstone Clee Hill. The second one is a zoomed view of the site we’re talking about. And the third one is zoomed view of the site by using greyscale colors which allows to better identify the « LFC » letters. Global view of Titterstone Clee Hill. Captured by Sentinel-2 on 08-11-2017. Greyscaled (Panchromatic) view of the field. « LFC » words are more clear in the center ( near the red dot ). Process to facilitate the visualization of the letters. This man used his working resources ( farming ) to talk about Liverpool, and I also used my working resources ( remote sensing ) to do it x) !! Keukenhof est le plus grand champ de tulipes des Pays bas. D’une superficie atteignant les 32 hectares ce parc est connu à l’échelle internationale et accueille plus de 800 000 visiteurs entre mars et mai. (Source). Les milles couleurs présentes dans ce parc : tulipes, jacinthes, jonquilles, narcisses, ascaris , narcisses et orchidées sont détectées par Sentinel-2 le 6 mai 2017. 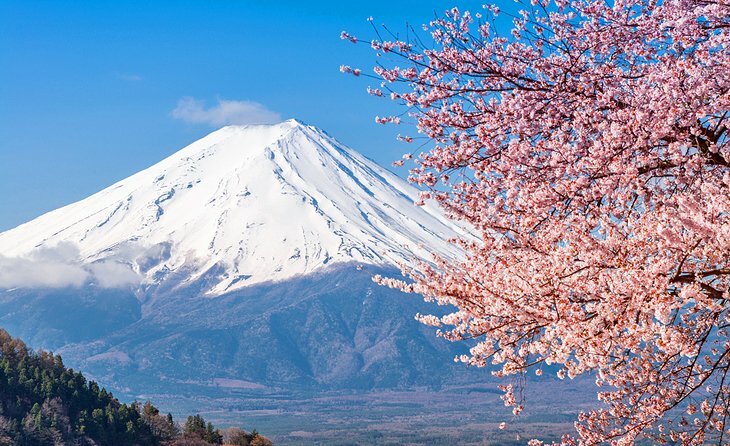 If you are a manga reader, an anime watcher or simply a Japan lover, you will absolutely know the Mount Fuji. It’s the Japan’s highest mountain (3776 m.a.s.l). Mount Fuji is part of the Unesco World Heritage List as a cultural asset (the 13th in Japan) for inspiring artists, poets and religious pilgrims (*). This mysterious mount is usually surrounded by clouds, so japanese people consider anyone who can get a clear view of it as lucky. Since my early childhood, this mountain catches my eye. Indeed, when I used to watch « Detective Conan » anime and their mysterious murders in Fuji, I was hoping to have wings and fly above it and see it. Sentinel-2 satellite made this dream come true by allowing me to have a detailed view of it. This image is of very high quality and the contrast between the snow on the mountain and the green plain is amazing ! You can download it and use it as a wallpaper on your computer as I do. You can also see more details of the image or see the Fuji mountain on other dates here : Sentinel-hub.